The fate of FC Magdeburg told in 7 posts. After the previous ones looked at off pitch failures, this looks at a season that ended in tears as Magdeburg missed out on promotion once more. The history of the club is one of few ups and a few more downs. Sadly, there are more downs to write about. After the experience with Sportwelt ended in the company’s bankrupcty in late 2001 and another relegation for economic matters in 2002, Magdeburg needed a rest to re-build and regain the trust of the followers. The need for a quiet period was not granted as the talk of a new stadium turned up a level the nearer the World Cup 2006 in Germany came. Initially, the city was considered a training camp for a participating nation. This did not materialize, yet the works on the new ground begun and progressed. The aim in this period of the club’s history was to gain financial stability and build a squad that could play for promotion to the 2nd division in a few years’ time. Dirk Heyne, goal keeper during the 1980s and early 90s returned as head coach and managed a promotion to the 3rd tier in 2006. This was some achievement as no one expected the club to do so well: 3 defeats in 30 games and 62 goals scored, only 17 were conceded. This spoke of some pedigree that once more was assembled in the blue and white shirts. The club had to leave the old Ernst-Grube-Stadion which was torn down in February 2005. Within a year the new ground was planned to be finished; alas the plan did not work out and the ground was opened in December 2006 with a friendly against Bayern Munich. During the construction period, the home games were played in the south of the city, in the Heinrich Germer Stadion in Magdeburg Sudenburg. It was a home coming of some sorts for the club as the part of the city, Sudenburg was the craddle of association football in Magdeburg. It was here in 1899 where the Sportclub Preußen 99 was established and soon became popular within the city. 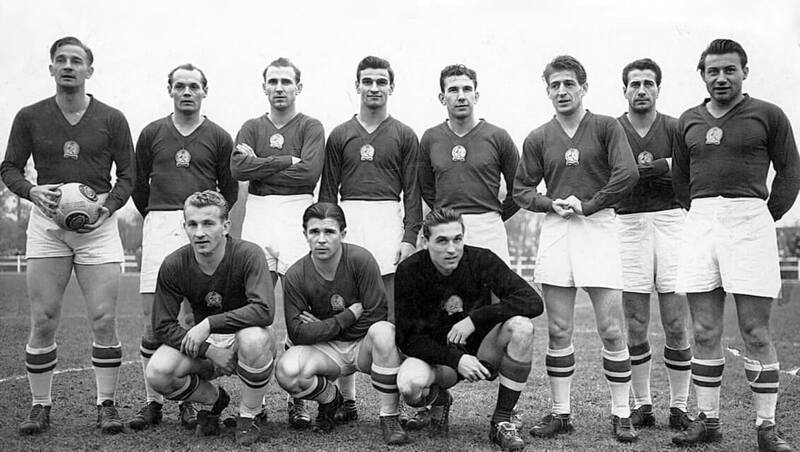 Preußen and the other big name in football in Magdeburg, Cricket Victoria, however did not survive the Second World War and football in Magdeburg had to be re-built from scratch. Once again, Sudenburg was the cradle of this development as the forerunners of FC Magdeburg, clubs such as BSG Stahl Magdeburg, Motor Mitte Magdeburg and finally, SC Aufbau Magdeburg played in the Heinrich Germer Stadion in Sudenburg. The stadium saw some memorable games played. In 1955, 22000 saw Magdeburg play Lok Stendal, a local rival and in the late 1970s and early 1980s while construction work was undertaken at the Grube Stadion, Magdeburg played their European Cup games in Sudenburg: Arsenal, Wrexham and Torino Calcio played there. When in the 1950s a new stadium was built in east of the city, many football fans in Sudenburg felt betrayed and stopped attending matches. It was in this ground with a capacity of just 5000 where Magdeburg staged their home games during the first half of the 2006/07 season. After 18 games Magdeburg were 8 with 28 points and no one considered talking about promotion. After 3 quarters of the season were played, Magdeburg were still skipping around 9th or 10th place but remained within distance to the most important spots in the table: positions 1 and 2. The team appeared to be settled and the results came. Interestingly, there were more away wins this season; Magdeburg had problems adjusting to their new home. In April there were only 2 points between the Elbe Kickers and promotion. It helped that rivals nicked points off each other, paving the way for Magdeburg into 2nd place by late April. An overwhelming 3-1 victory against Union Berlin opened a gap of 3 points between Magdeburg and Osnabrück. Promotion was almost in sight after 34 games. This gap opened even more just a week later as Osnabrück lost another match and Magdeburg played their game with an assuredness rarely witnessed after 1990. A draw against Leverkusen meant no setback. Yet, doubts creeped after Kickers Emden left Magdeburg no chance and beat them 4-2. Osnabrück meanwhile beat Borussia Mönchengladbach’s second outfit 4-0. The advantage was gone and Osnabrück had the better goal difference in case it would be that close. The inevitable happened. The last day of the season. Magdeburg played St. Pauli at home. An almost capacity crowd saw a draw that would have been enough to see Magdeburg through. It was however, Sr. Pauli who scored first, Magdeburg equalized 10 minutes later. At this point, Magdeburg would have been promoted. Ahlen defended their lead against Osnabrück for 70 minutes before conceding. It would have been enough, still. Yet, 4 minutes from time, Osnabrück took the lead. The MDCC-Arena, the new ground in Magdeburg fell silent after the final whistle only to erupt in applause to celebrate the achievement of the team. This prayer-like mantra was uttered by fans in and around Magdeburg as an act of defiance. It turned out that Magdeburg’s fans are still waiting for next year to come: 7 years since and the club are still in the 4th division. This glorious yet ultimately unsuccessful season proved to be the last heyday for Magdeburg. Another period of rebuilding followed, accompanied by instability in the management and a total of 9 coaches made sure that the club stayed put. Their best chance to get out of this division was this season; although the season is not over yet, it can surely be said once more the club will be rooted in the 4th tier of the German football pyramide for the some time to come.